My colleague Ido Segev and his friend Shaun just got home from an almost 1,000 nautical mile ferry flight of a new shiny Ferrari red Aeroprakt A32 Vixxen, registered VH-ACL, to its new owner Will Graham. The aircraft is fitted with a Dynon SkyView system, including a 2-axis autopilot, transponder and fuel computer. In addition to the standard dual-watch VHF radio, the aircraft also has an 80-channel UHF radio, operating through the headsets. 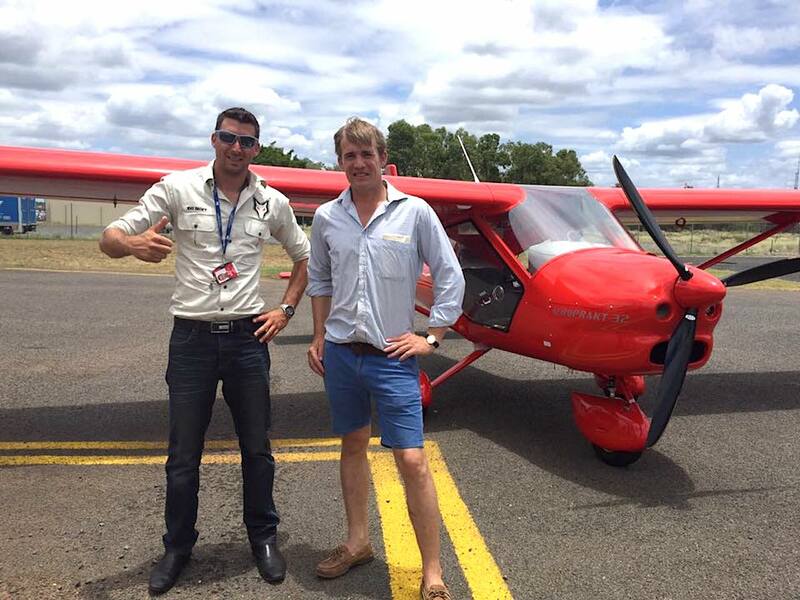 Their flight took them from Moorabbin Airport, near Melbourne, via Temora and Parkes in New South Wales, to an overnight stop at St George in southern Queensland. 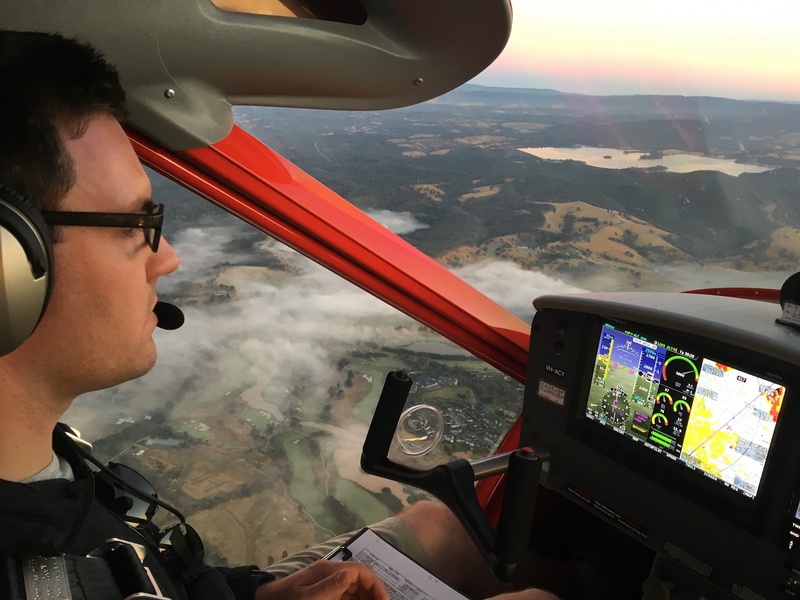 Most of the flight was made at 8,500-9,500 feet AGL, which at times translated into a density altitude of over 11,000 feet. Said Ido: “Even at 7,500 feet were were still climbing in excess of 500 feet a minute – not bad with two of us, full fuel, luggage and some spare parts on board.” The next day, the weather wasn’t so kind, with strong headwinds and a 2,000 foot cloud base. Nevertheless they made good time and arrived at Emerald, Queensland, before lunch, after a short wait at Roma while some weather passed through. Total flight distance was about 950 nautical miles with and average ground speed of slightly over 95 knots. Average fuel burn was a shade under 17 litres an hour. In metric fuel economy terms, that’s about 10.3 litres per 100 kilometres – not bad for an average speed of over 175 kilometres an hour! Ferrari and co, eat your hearts out! This entry was posted in Light Sport Aircraft (LSA) and tagged a32, Aeroprakt, Dynon, moorabbin airport, skyview, vixxen by PeterFoxbat. Bookmark the permalink. Some lucky person’s flying that now. And what a job Ido has!